Alison is obsessed with Marshmallow Root Pills. She's been really sick for a really long time. And being sick made her decide to get healthy. Funny how that works, she generally doesn't take care of herself, but as soon as her body shut down, she now has the motivation to get it better. And she is ON IT. She's been drinking water and herbal tea hand-over-fist, taking vitamins, using her steam inhaler daily, and now, she's added Marshmallow Root to her routine. It's incredibly good for soothing the digestive tract, as well as helping sore throats. Lulu and Alison ponder the difference of marshmallow root and marshmallows, and whether one is made to use the other. Of course, Alison makes up an interesting explanation off the top of her head. Lulu thinks marshmallows and marshmallow root are not connected at all.According to this article (and recipe!) on Learning Herbs, traditionally marshmallows were made from marshmallow root, but what you likely find in stores now is made from gelatin. So Lulu was partially right. Lulu is obsessed with broth. All the broths. Chicken, beef, veggie, she likes it all. She is doing an Isagenix Cleanse and the tastes are all sweet, but she prefers savory things. Since she's allowed broth for one meal, and is traveling a lot, she has been loving these broth cubes. You just unwrap and drop into a cup of hot water you’ve asked the airline attendant to bring you. A nice cleansing while traveling hack there for ya! And for vegetarians and vegans, try these chick-UN broth cubes. You may have seen Alison's wishlist on a sponsored Instagram post. She wants a Cordaroys Convertible Bean Bag Chair Bed. Lulu semi-mockingly asks Alison if she is in college, because who else has bean bag chairs? Oh no, Alison says. This is the grown-up version for sure. You can get it in leather, microfiber, plush. And it TURNS INTO A BED. This solves all of your extra guest problems. Lulu is constantly on the search for keto-friendly snacks, and would love like a subscription box where she could try a bunch to find the ones she likes without having to do all the research and shopping. Well, Cratejoy has this list of the 7 Best Keto Subscription Boxes would probably suit her just fine. But if you have a recommendation, or just a favorite keto-friendly snack, let Lulu know. 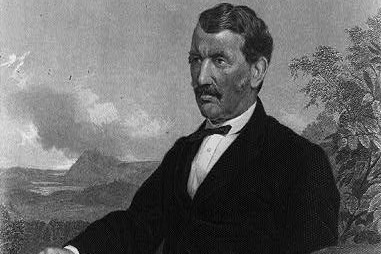 Named after David Livingstone, the British explorer and missionary who was the first European to explore the area. His aim was to discover the source of the Nile River, and then use that fame and influence to end the East African Arab-Swahili slave trade. He was presumed lost in Africa for something like six years, and was found in 1871 by Henry Morton Stanley who now famously postulated, "Dr Livingstone, I presume?" This is all from reading Wikipedia so take it with a grain of salt. In a recent #10KSaturday episode, guest Suzy told Lulu she had to buy compression socks. Lulu wants to in real life, but until then she is going to take these $10.99 compression socks with her on her trip. 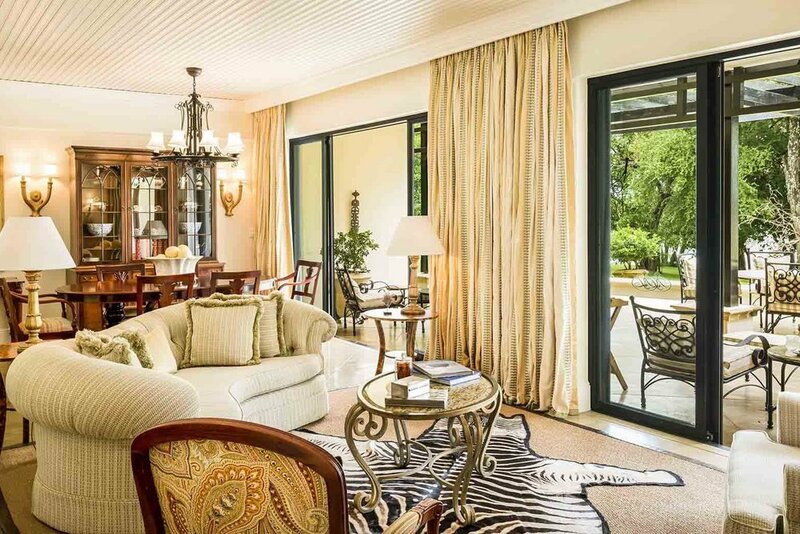 Lulu stays in the Presidential Suite at The Royal Livingstone, where the terrace is large enough for a formal dinner party, and African wildlife can be seen on the riverbanks within walking distance from your room. And you get a butler so Lulu is content. Lulu did some forum reading and decides to take some travelers’ recommendations and grab breakfast and coffee at Kubu Cafe. Her first activity of the day is to head to the Maramba market for an authentic Zambian experience. She is specifically looking to find Chitenge material that speaks to her. Chitenge is similar to a sarong or a sari, it is 2 meters of fabric used to wrap around the waist, and cover the lower half of the body. Once she's found some she loves, she's going to head to Emmah’s Wear to get some custom clothing made from her material. She's thinking a harem style pant and a tailored shirt would be nice. She is very excited for this next part, because she's always wanted to have a fancy meal on a fancy train. Luckily through her hotel, they offer lunch service on a restored steam locomotive. The train ride goes through the Mosi-oa-Tunya National Park, which means "the smoke that thunders". As ominous as that sounds, it has some of the most incredible waterfalls in the world. 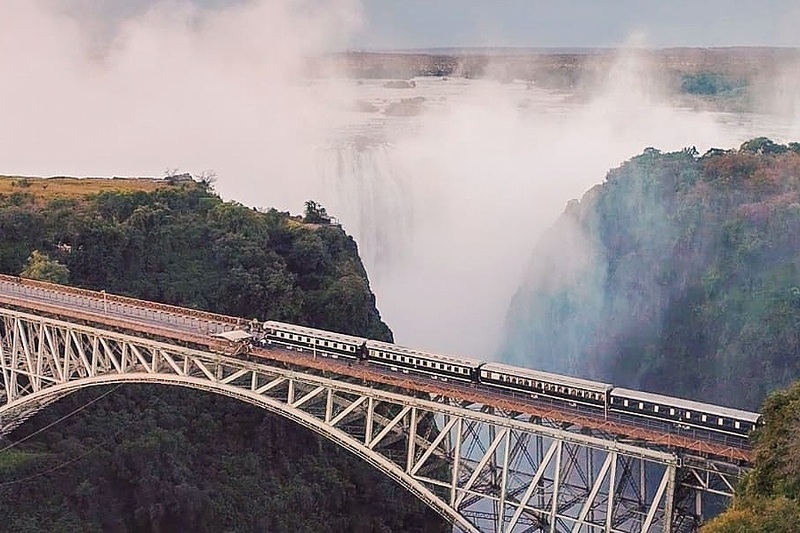 The train takes you across Victoria Falls bridge, so the views of the falls can be enjoyed as you sip on curated South African wines. You also get to listen to a talk about the area, and take stops to get off and capture the perfect Instagram shots of the waterfalls as well as wild giraffes, zebras, and antelope. For said stops, she wants a lightweight waterproof jacket, and she decided on the Arcteryx Norvan SL Hoody. The Spa at the hotel offers a poolside foot massage, so of course she takes that indulgent opportunity. Poolside lounging, pressure point foot massage, sipping on a cocktail, all while watching wildlife in the gardens. Pretty sure Lulu has found paradise. For Dinner Lulu heads to the Elephant Café. Awarded Zambia’s Best New Restaurant in 2016, this spot is unmissable. 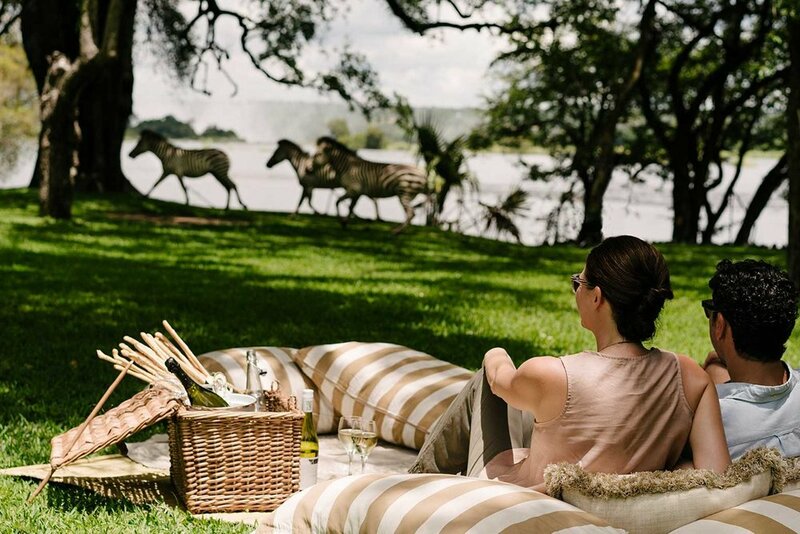 It is built on a wooden deck in the Zambezi River, you get there by boat, and then enjoy delectable dishes by Chef Annabel Hughes. 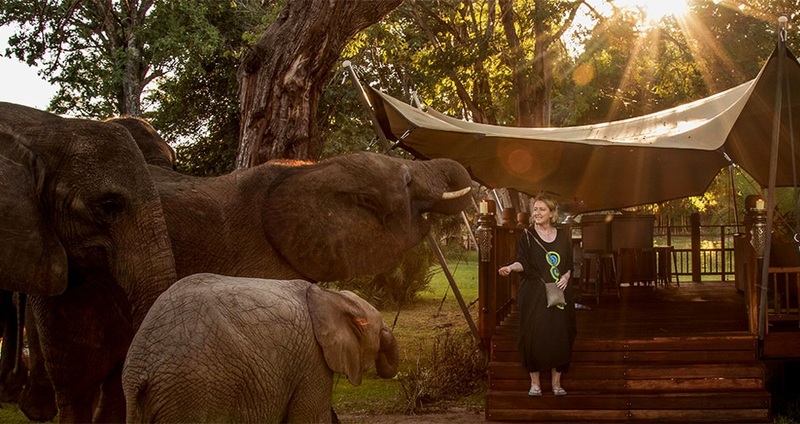 And bonus, it is in an area that a herd of elephants calls home, so you will likely get to see some while you dine. Now as luxurious as all of this sounds, Lulu is not even close to spending her 10K, so she decides to bring someone with her. Alison gets so excited, you’ve got to watch her reaction here, as she is excitedly certain that Lulu is going to bring her. She is a sore loser when Lulu says that she is bringing our producer Ash, instead, who was so excited when she heard, even though it involves 35 hours travel time via flights with United and Lufthansa. She's done 30 hours before, so another 5 hours just means two more movies on the plane, right? Alison is totally miffed. Ash is super ecstatic, texting Lulu in all caps and multiple heart emojis. Let's just all remember that this is imaginary, okay? Lulu has tried to do a day here before, and couldn't make it happen. Alison should be very proud then. Here's the thing, there aren't cities in Antarctica. Wait, right? Pretty sure it's just research bases. So how on earth did Alison manage to spend $10,000 here? Well first things first, she's going to get properly outfitted. She buys a snowsuit, specifically this oh-so-fetching Bogner "Phili-D" Softshell Ski Suit with Fur Hood from ML Furs. This fitted jumpsuit will definitely keep her warm, as its got three layers, the middle one being of polyurethane. Lulu says it sounds like a Bond girl version of arctic wear, and wouldn't you know the description reads - "Bond girl styling and technical qualities get shaken, not stirred" - so she was dead on. And some snow boots are necessary, right? 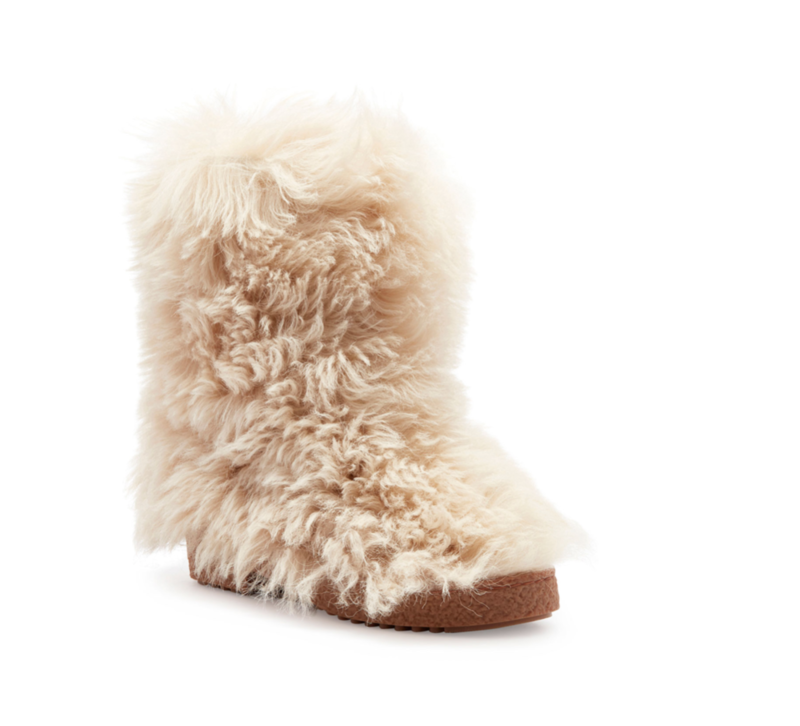 How about these Saint Laurent Furry Lugged Booties from Neiman Marcus. She may have mispronounced Saint Laurent, but honestly she pronounced it as the majority of Americans probably do, so we'll give her a pass on pronunciation and points for taste, because we all want these booties. She's going to be the cutest snow-bunny (ice-bunny?) you've ever seen. So here's why Lulu had trouble making a 10K day to happen in Antarctica. You can’t go there by arranging your own travel and then sourcing accommodation separately in the way that you might do to any other destination in the world. There is only one flight and one accommodation. You have to book it all through White Desert. It's a completely VIP experience. After a day of safety briefing in Cape Town, South Africa, you take a flight on a private jet to their Whichaway Camp in Antarctica. They offer multiple types of adventures, but the only one that does a one-day adventure is $16,000. So she decides to get a little creative, and selects the 4-day Ice & Mountain Adventure, and just decides it by 4. The cost for that day would be $9625, which TOTALLY fits into our budget. But wait, now she can't afford her snow suit and snow boots! She's just going to pretend she already had them. I mean, since she did her research, the suit is now only $790, instead of $1300. Chump change. She's just going to add up all of the times in her previous 10K Days when she was under budget, and use THAT money to buy her outfit. Because it’s just too cute to pass up. Now that she's fudged her math a bit...let's tell you about the incredibleness that is this adventure. There are state of the art sleeping pods, that are surprisingly spacious, with a writing desk, wash area and toilet. There are also kitchen, lounge, and dining pods. We love how White Desert describes it - "while the exterior is made from cutting edge materials, the interior has an old-world feel with rich textures." Yummmm. Luxurious outfit, luxurious location, and now for some killer views. Exploring the Drygalski mountain range of mile-high rocks rising vertically from the ice, has to give your soul some serious shock and awe. In addition to that excurision, you can select from a variety of activities from expert guides. You can even select whether your activities will be relaxed or adrenaline-fueled, the choice is yours. Alison obviously selected adrenaline-fueled, and given said choice Lulu would to no surprise choose relaxed activities. However its Antarctica so I imagine the "relaxed" activities take it to rigorous from death-defying. Treks through series of ice tunnels, then a visit to the coast where giant ice waves rise up from the ground in surreal formations. Or relaxed picnics at research camps. Whatever floats your boat.